Valleymount is a small, picturesque village in West Wicklow. 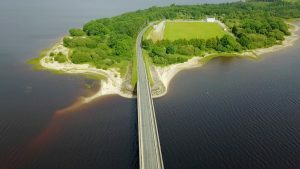 The village is on a land spit created by the flooding of the River Liffey and the Kings River in the late 1930`s and early 1940`s for the Poulaphouca Dam project. 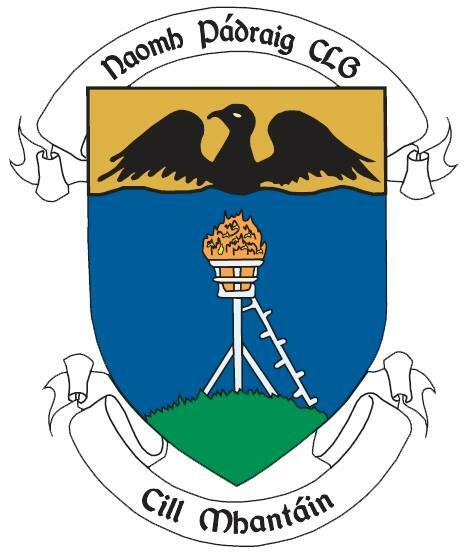 Valleymount Gaa club was founded in 1887.  The club now has two men`s teams and a ladies team. Our underage players play with St. Kevins. 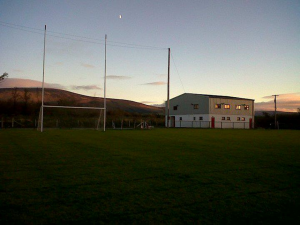 We play our home games at “The Tan”, just beside the lake in Valleymount. 1887- Club was founded. 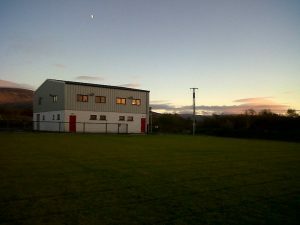 “Ballyknockan 98’s” was the name of the first team. 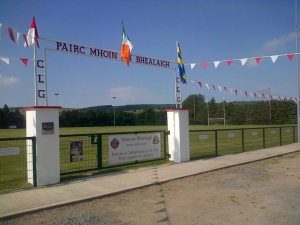 1889- Ballyknockan 98’s were beaten by Annacurra in the Senior Football Championship Final, played in Clonskeagh on September 29th, by 1point, 1-03 to 1-02. 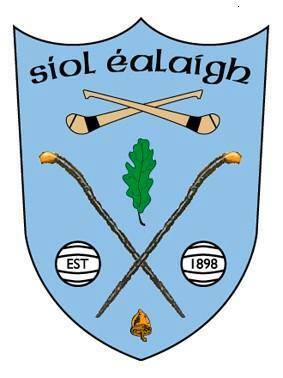 The Ballyknockan 98’s team scored 24-55 in total in this year’s competitions, compared to 2-21 scored by all opposition. 1908- “Valleymount” club name came on the scene for the first time. 1911- Club won a Junior Football Championship (Date is approximate as there was very little about it in papers). 1914- The Valleymount club joined with Lacken to form a team called the “J.E.Redmonds”. 1921- Won West Wicklow League. 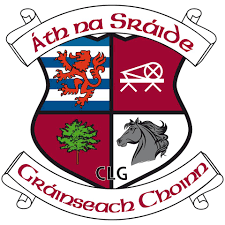 1923- Granabeg won the clubs only ever Senior Football Championship on September 21st in Laragh, beating Wicklow Town 1-04 to 1-01. 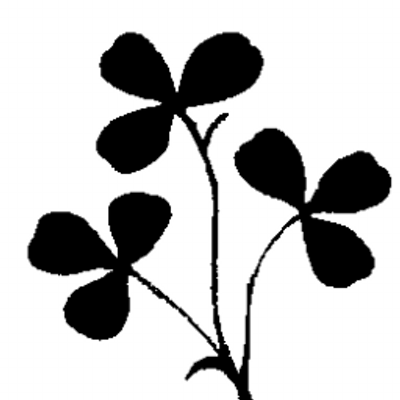 1928- Club was split into two teams; “Valleymount” and “Logstown”. 1929- No team in the area. 1934- Won Special Minor League, beating Ballybrack in the final. 1939- Won West Junior League. 1940- Beaten by Coolboy in the Junior A Football Championship Final. 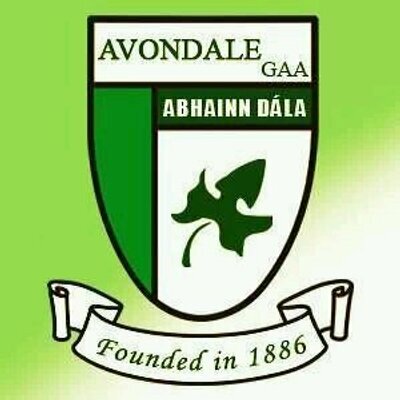 1942- Beaten by Avondale in the Junior A Football Championship Final. 1942- Won West Senior League. 1943- Joined with Hollywood at juvenile level to form “St. Kevins”. 1948- Valleymount reformed as just one team, and competed at both Junior and Intermediate level. The club also wore the red and white jerseys for the first time. 1952- Valleymount beat Newtown, 1-06 to 1-02, on Sept 7th to win the clubs first ever Intermediate Football Championship and were promoted to Senior level for the following year. 1963- Valleymount received a walkover from Forestry College in the Final of the Junior A Football Championship and got promoted to Intermediate level for the following year. 1964- Valleymount beat Carnew on August 30th in Baltinglass to win the Intermediate Football Championship 5-08 to 2-01. 1978- Valleymount beat Laragh to win the clubs third Intermediate Football Championship title. 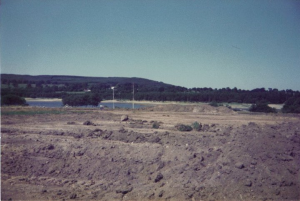 1983- The clubs first adult hurling team was formed and were narrowly beaten in Final of the Junior B Hurling Championship by Blessington in Baltinglass. 1983- Valleymount beat Kiltegan in the final of the Hennessy Cup. 1984- Valleymount overcame Coolkenno in the Final of the Hennessy Cup to win it for the second year in a row. 1984- Valleymount were beaten by Tinahely, 1-15 to 2-02, in the Final of the Centenary Year Senior Football Championship. 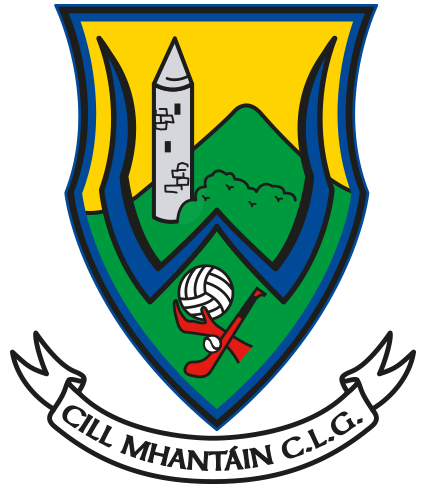 Tinahely went on to be the first Wicklow team to reach a Leinster Senior Club Final. 1984- Valleymount won the Timmons Cup, division 2 football competition, beating Rathnew in the final. 1985- Valleymount beat Blessington to win the Leinster Leader Trophy in Baltinglass. 1985- Valleymount beat Kilcoole in the final of the Junior B Hurling Championship played in Aughrim. 1985- Valleymount were beaten in the Final of the Hennessy Cup by Blessington after a replay. 1987- Valleymount were runners up in the May Bush Cup, a Dublin Competition. 1988- Valleymount won the Corcoran Cup. 1988- Valleymount won the Craul Cup, beating Donard/The Glen in the Final. 1988- Valleymount won the Junior A Hurling Championship, beating Rathnew in Ashford. 1988- Valleymount won the May Bush Cup, a Dublin Competition. 1989- Valleymount did the Intermediate double, winning both the Intermediate Football and Hurling Championships. 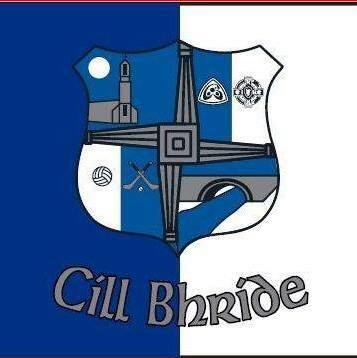 We overcame Baltinglass in the football which was played in Blessington and one week later we beat Newcastle in the hurling which was played in Aughrim. 1989- Valleymount won the Fr. Lucey Cup beating Kill in Blessington. 1993- Valleymount lads defeat Arklow Geraldine’s in Cunningham Cup decider. 1997- Valleymount won the Hill Opel Division 4 West League. 1997- Ladies football team established in the Club. 1998- Valleymount won the Junior A Football Championship, beating Coolkenno in the Final played in Aughrim. 1998- Valleymount Junior A team beat Lacken (Winners of Junior B Championship) to win the Swan Cup Final played in Ballymore. 2000- Valleymount ladies team defeat Clara in County shield Final. 2001- Valleymount beat Stratford to win the O’Reilly Cup. 2001- Valleymount won the Wilson Buttle Cup, overcoming Kilmacanogue in the final. 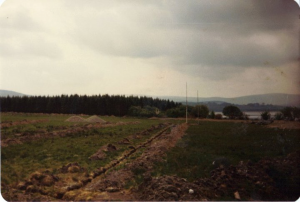 2002- Building of new Club house commences. 2002- Ladies win the County Junior championship. 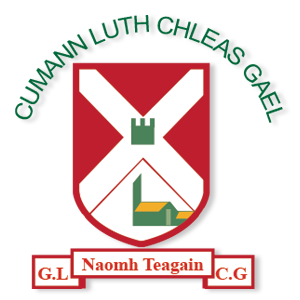 2002- Junior C team reach the County Final and are defeated in replay to Coolboy. 2003- Brian Carney former player selected on the Great Britain lions selection and was selected as player of the tournament. 2004- Valleymount were beaten in the Junior A Football Championship Final by Baltinglass played in Blessington. 2004- Valleymount won the Division 3 League Final beating Baltinglass in the repeat of the Junior A Championship Final. 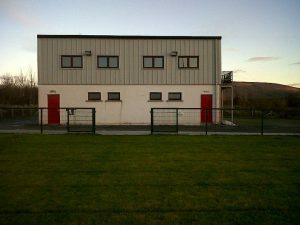 2006- Tom Tipper officially opens new dressing rooms and Club house. 2008- Valleymount Intermediates won the Tipper Cup. 2009- Valleymount Intermediates won the Tipper Cup for the second year in a row. 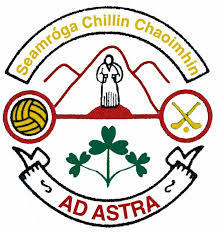 2009- Ladies Senior team defeat Blessington to win the County Senior “B” Championship. 2011- Janet & Emer Miley win All Ireland Junior medals with Wicklow. 2010- Ladies team win County senior league. 2012- Valleymount Junior C team won the Hennessy Cup (Winter League) beating Blessington in the Final which was played in Valleymount. 2012- Valleymount Ladies won the Senior Cup Competition, beating Arklow Geraldines Ballymoney in the final which was played in Ashford. 2013- Celebrating 125+1 Club history and Achievements with GAA President Liam O’Neill in attendance. 2014- Ladies win County Intermediate championship and narrowly lose out in the Leinster quarter final to Moate of Westmeath. 2017- Division 3 League winners of the Johnny Fox Cup. Promoted to Division 2. 2018- Ladies played St. Pat’s Wicklow Town in the County Final. Lost out by 3 points to a very strong team. 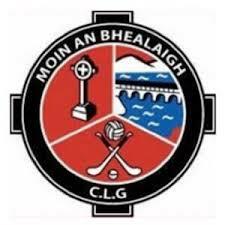 2018- Junior ‘C’ lads competed in the Division 4 league, topped the group and were crowned Division 4 West C Section League Winners. 2018- U14 girls won the Division 3 Shield and they also won the B Cup final against Coolkenno. 2018- The St. Kevin’s U17’s won the B Football Championship Final against Blessington on a scoreline of 1-12 to 1-08. 2018- Junior ‘A’ lads played in the Boom Platform Championship County Final against Kilcoole on the 13th October. Defeated by one point. 2018- Robbie Miley was part of the Wicklow U16’s team who made it to the Fr. Manning Cup Final but were defeated by Sligo.